The S.D. Bechtel, Jr. Foundation has long backed work related to freshwater stewardship as one of a handful of major funders that prioritizes this critical issue. It plays a central role in many efforts to better deal with ongoing drought and other threats to water availability and quality in California and throughout the West. Bringing together diverse stakeholders to manage regional water resources continues to be a major focus for the funder. With less than three years remaining in the foundation’s lifecycle, our staff size, expectations for impact, and energy remain strong—as do our relationships with and belief in the many nonprofits and funders who share our commitment to a productive, vibrant, and sustainable California. 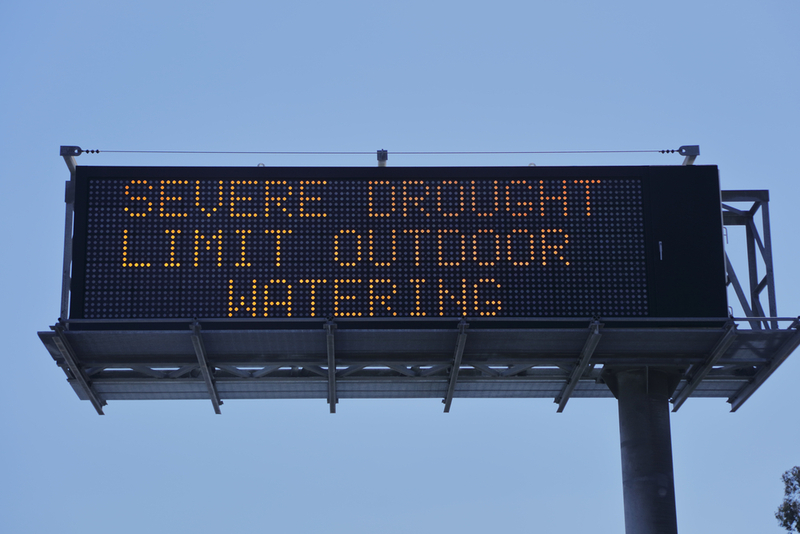 Water systems in the U.S. and the West in particular are under threat from climate-related drought (the years 2012 to 2016 were California’s driest and hottest on record), population growth, over-use and mismanagement, pollution, and deteriorating infrastructure. As we’ve written, philanthropists are still finding their footing in the broader issue of sustainable water systems. Philanthropy hasn’t yet stepped up for water to the degree it has for other environmental issues such as marine conservation, land protection, or, more recently, climate change. But, as we’ve reported, a few foundations have placed water at the top of the agenda, with key funders and nationwide collaborative efforts working to move water systems from a niche issue into a major philanthropic focus. Bechtel has been one of the pivotal players in this trend. One significant collaborative initiative in the water space that Bechtel is involved with is the Water Foundation, a strategic nonprofit working to improve water management in the western U.S. It launched in 2011 as the California Water Foundation (CFW) as an initiative of the Resources Legacy Fund. The S.D. Bechtel, Jr. Foundation is a primary funder, along with the Pisces Foundation, David and Lucile Packard Foundation, Walton Family Foundation, and William and Flora Hewlett Foundation. In January 2017, the Water Foundation became a standalone organization and expanded its focus across the West. Notably, back in 2014, when it was still CFW, the Water Foundation backed comprehensive water policy legislation that effectively put an end to unregulated groundwater use in the state. In 2017, progress was made in the implementation of this Sustainable Groundwater Management Act as local communities formed groundwater sustainability agencies. Bechtel’s Dachs is the vice chair of the board of directors for the Water Foundation. The organization’s current priorities include safe drinking water, protection of groundwater supplies, drought contingency plans, urban water conservation, and ecosystem restoration. The Water Solutions Network is a new Bechtel-backed initiative that consists of a cross-sector collaboration of leaders “focused on the future of water management in California.” Its partners in this endeavor are Coro Northern California, DIG IN, and Water Education for Latino Leaders (WELL). It engages and seeks out water professionals who have achieved success in their careers, and who are expected to be involved in water systems and management or related fields over the coming decade. The first cohort focused on the watersheds of Los Angeles, Santa Ana, and the Central Valley and launched with an “immersive, collaborative learning experience” in the spring of 2018. The second cohort will participate in 2019, centering on the watersheds of the Sacramento Valley, the Delta, and Tulare Basin. The last cohort will be in 2020, dealing with the watersheds of the Colorado River Basin, Southern Central Coast, and Klamath River Basin. Several years ago, Bechtel began asking community foundations about their local freshwater challenges, recognizing that the nature and potential solutions for these difficulties can vary regionally, and that community foundations have unique, on-the-ground perspectives on these issues. The resulting conversations spurred the creation of the Community Foundation Water Initiative, consisting of the California Community Foundation (Los Angeles), the Central Valley Community Foundation, The San Diego Foundation, the San Francisco Foundation, and the Silicon Valley Community Foundation. The partners conduct local programs related to water on diverse topics including climate, agriculture, equity, land use, and housing. Members connect regularly to share findings, results, questions, and challenges and to explore ways of bridging their efforts for more coordinated and statewide impact. Along with the programs above, it’s worth noting that Bechtel also supports the Water Funder Initiative (WFI), which, starting in the American West, aims to identify and increase participation in priority water-related philanthropic strategies, engage funders, and support coordination. While governmental bodies are responsible for the bulk of public water resource management, serious and widespread threats to water quality and availability can be seen as a call for philanthropy to step up and expand its vital water-protection efforts.